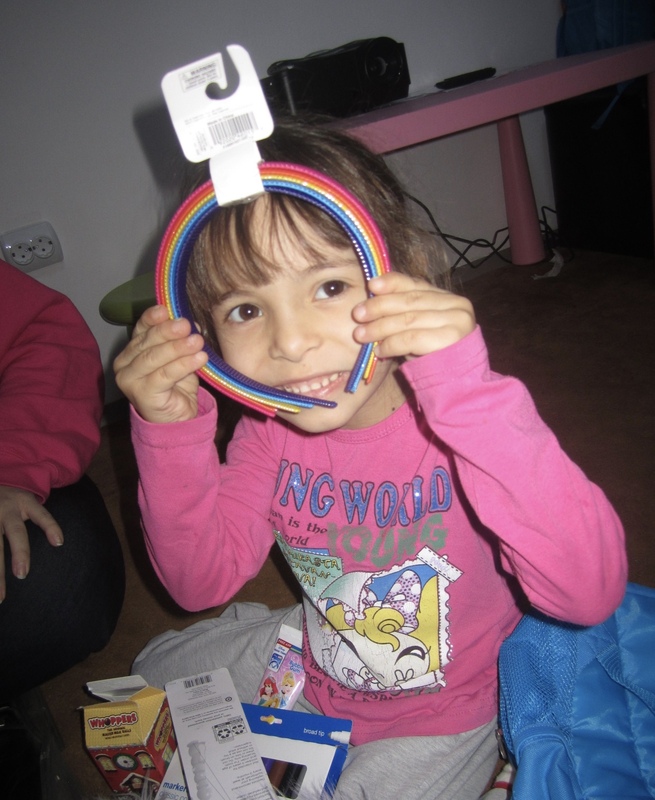 Whenever I am in the states for Christmas, then I arrive back to Romania with the Holiday team. We have a lot of fun with them because they get to help us deliver Christmas presents to the kids at the orphanages where we work. We also have a huge New Year's Eve Party with our transition kids and families, complete with Mennonite New Year's Cookies made by Jen and me, dancing, games and fireworks at midnight. After New Year's, we had a little bit of snow. 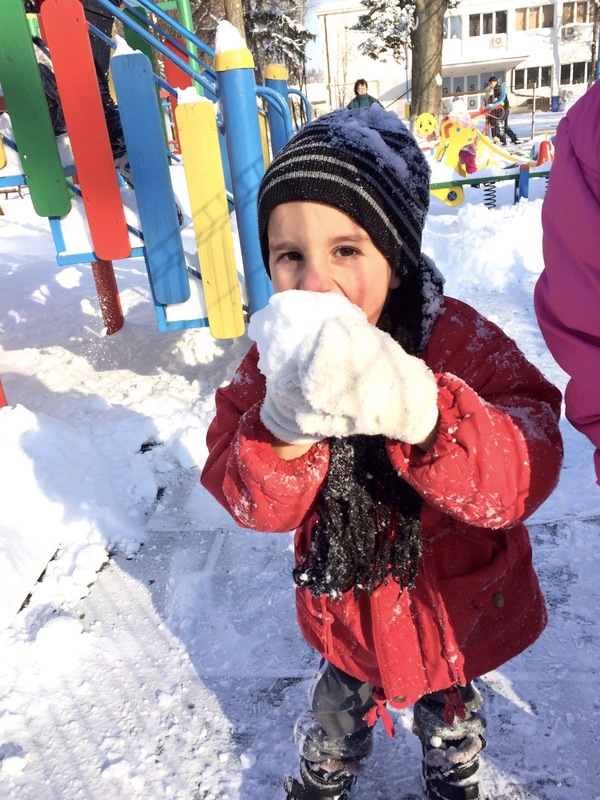 We played with the kids at the Voluntari orphanage out in the snow and took pictures with the big snowman they built. Happy Birthday, Marinela...21 years old!!! My brother came to visit for 5 days mid January. I had a lot of fun showing him around to all the places where H2H works. We had more snow while he was here, so we had a snow day. Ruthie stayed overnight because her pre-school was closed because of the snow. Lucky for him, he got to help shovel!! He even got in on a little princess Monopoly!! Well, the snow all melted and that was all we had this year! Praise God! !